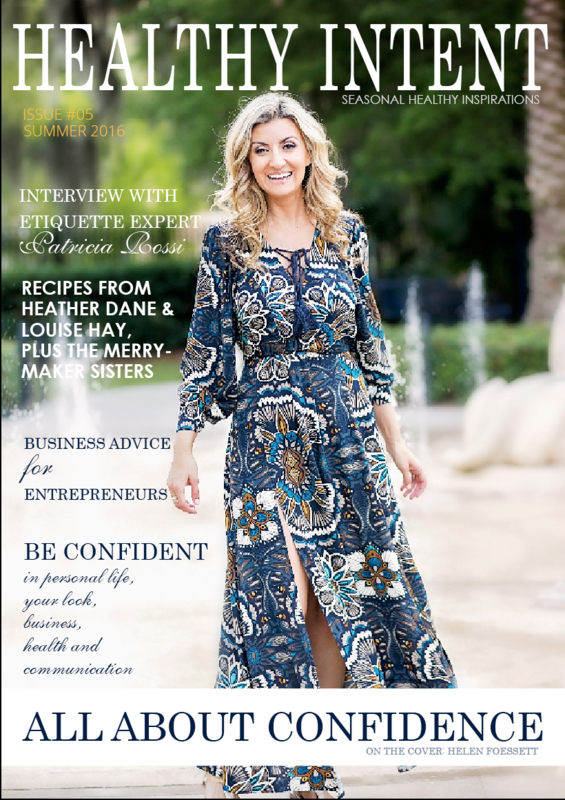 Summer 2016 issue (#5) of Healthy Intent magazine is about something we want more of… CONFIDENCE. I’ve gone through a very big personal transformation, and there have been many people who played instrumental role in mentoring me, advising, crying and laughing with me, sharing ups and downs, and most important, never left my side because they believed in me! Women are mothers, daughters, caretakers, teachers, wives, business owners – we wear soo many hats. Our environments, relationships, life circumstances sometimes don’t allow us to develop confidence to thrive at everything we do. This issue is my GIFT TO YOU. And speaking of gifts, my personal branding photographer and good friend Heidi Hapanowicz has prepared a special gift for you: $100 off her brand new course that would teach you step by step how to design a photo shoot of your dreams that would take your brand to the next level. http://www.personalbrandingphotography.academy/ use the coupon code CONFIDENCE. This will be one of the best investments into your business. 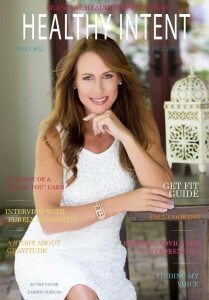 Spring Issue of Healthy Intent magazine has arrived! 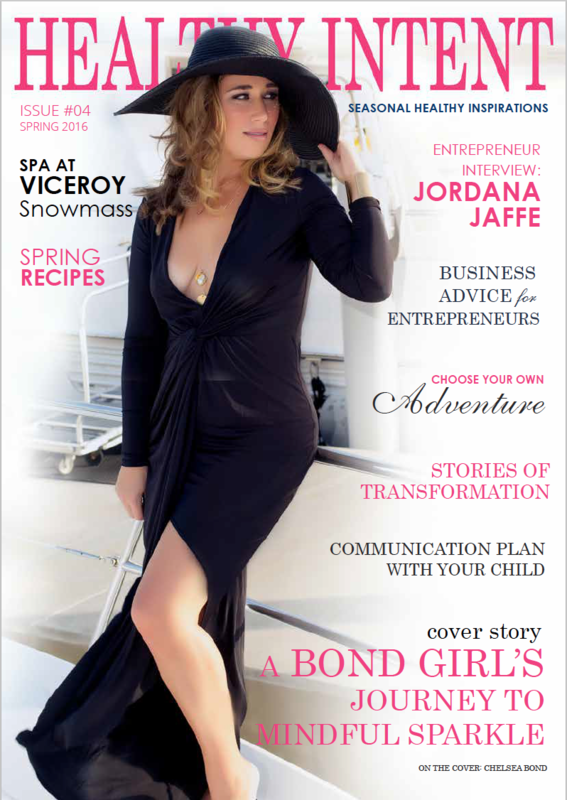 Spring 2016 issue (#4) of Healthy Intent magazine is going to take you on a journey. Yes, you guess correctly – that’s the theme threading this issue. We all go through journeys. Every minute, hour, day, week, month… Our life is filled with mini-journeys and big journeys that teach us much needed lessons or just make us feel good. Healthy Intent is a two-year journey for me at this point and I’m so honored to share it with you. Let’s meet this issue’s contributors. Winter 2015-2016 issue (#3) of Healthy Intent magazine is very special. It is dedicated to magic. Not the magic cooked up by a witch in a cabin in the woods somewhere. But the real magic that floats around every day, in people, relationships, surroundings and us. Even putting together this magazine for you is a magical process – I’ve connected with so many contributors and readers. These connections are the core of having strong positive relationships. It is my wish for you to start your NEW YEAR with healthy intentions, enjoy your family and work. Fall issue (#2) of Healthy Intent magazine has truly become an international experience. 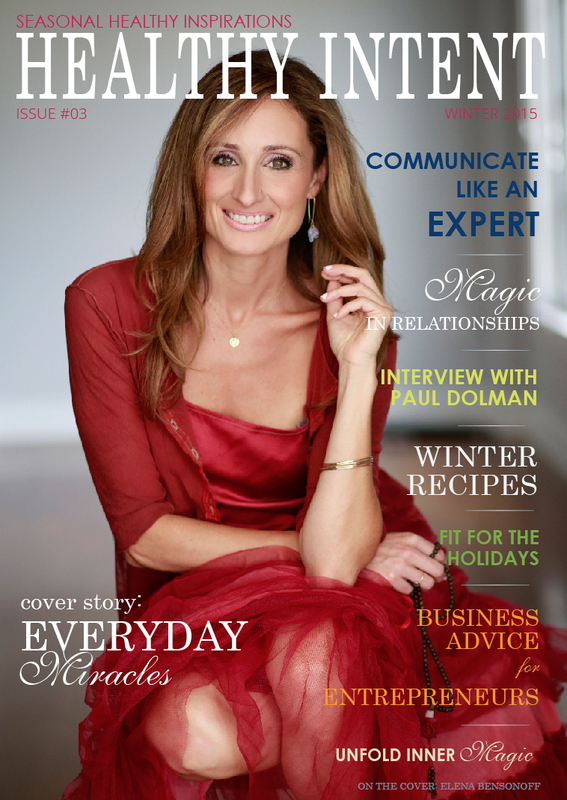 The main theme threading through this issue is Gratitude. I’ve been so thrilled by the response of our readers, and excited to present to you this issue’s contributors.